New features with MacOS Mojave. As of September 24, 2018 – Apple’s new operating system Mojave is released. 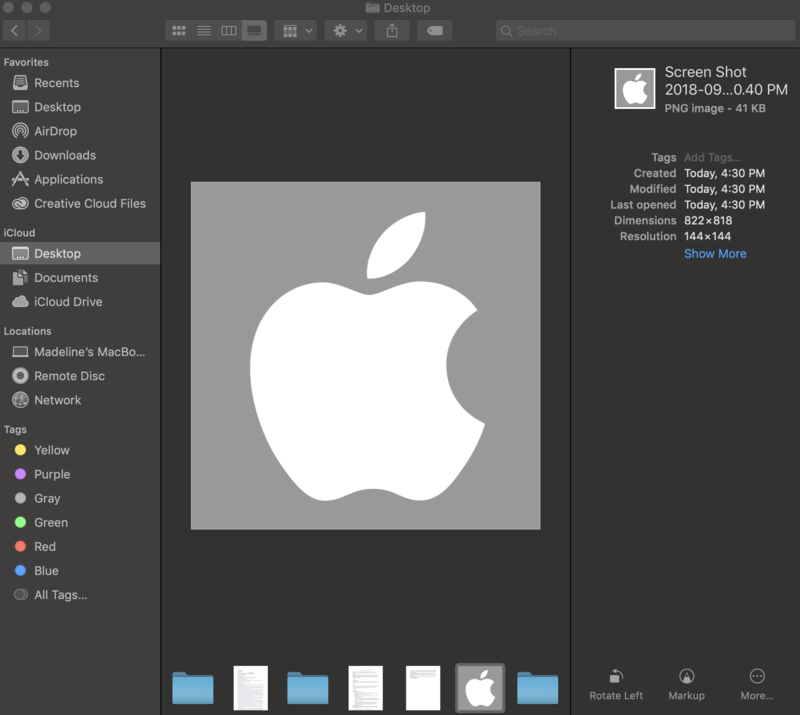 This macOS is packed with new features that will innovate and change the way you use your computer. Dark Mode can be implemented in System Preference > General. You can either keep the light appearance or change it to dark. This helps your eyes when looking at your screen in a dimly lit environment. It is extremely evident in applications such as Finder, Mail, Messaging, and Calendar. The dynamic desktop automatically changes the wallpaper photo based on the time in your location. The two choices are a photo of the Mojave Desert and a gradient color screensaver. Stacks is a new organizational feature that allows you to clean up your desktop. This organizes by images, documents, music, movies, and screenshots. It can also group by kind, date last opened, date modified, date added, date created, or tags. 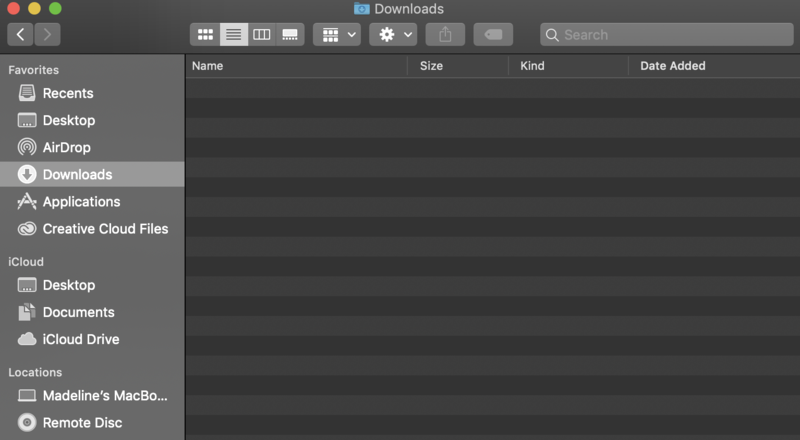 Finder has some exciting updates. Allows you a large preview of what you are looking at (photos, documents, etc.) This is especially helpful when looking through folders of photos. 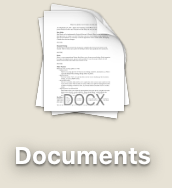 From the Gallery View, you can take direct actions such as marking up the document, rotating, or create a PDF version. The new screenshot utility allows you to capture the entire screen or just a portion of the screen. You can also video record your screen. There is an option to change the location of where everything recorded is saved, if you want all the screenshots sent to a certain folder. This feature allows you to directly import photos from your device. 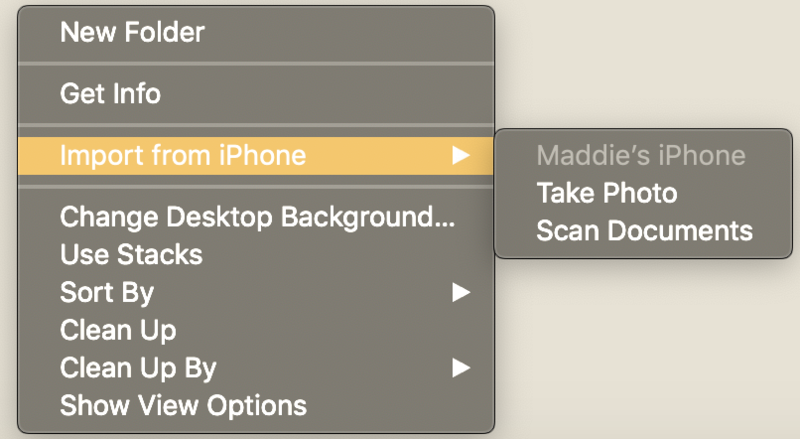 A right click on the home screen will give you the option to “Import from iPhone” which launches the camera app on the phone. Once you capture the photo, it will automatically be transferred to your computer. 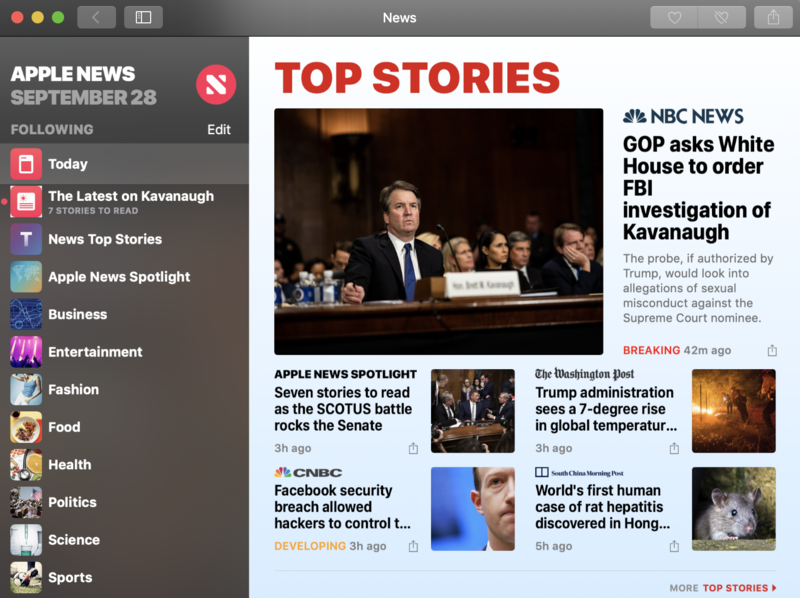 OS Mojave also includes a news app featuring the latest news and adapts to your preferences. There is the ability to hold up to three recently used applications in the dock. Apple added a Home application where you can natively control your home devices like lock doors and control lights.